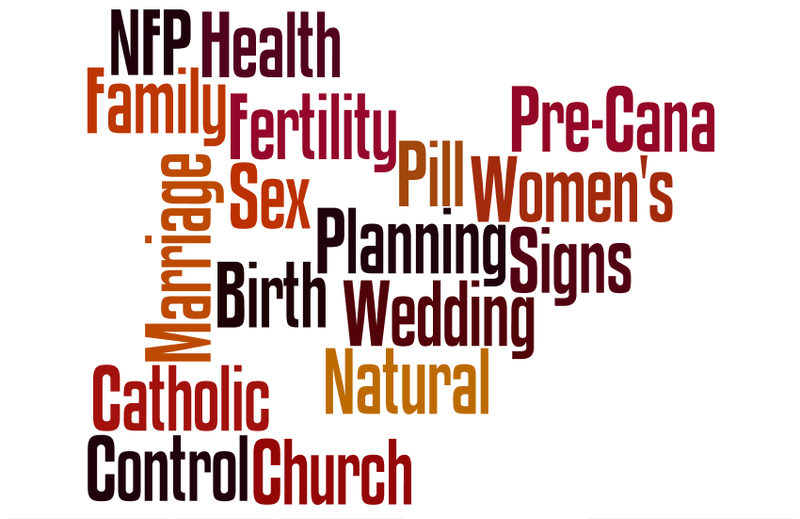 Real Catholic Women’s Questions: Pre-Cana Natural Family Planning Class While On the Pill? Q: I have to do natural family planning class but I am on the pill… any suggestions for that? A: First of all, congratulations on your upcoming wedding! Marriage preparation can be a stressful time under any circumstance, and it is good that you are already thinking about the requirements of your parish (or diocese). The good news is that you can fulfill the requirement to take natural family planning (NFP) classes, regardless of what medication you happen to be on. Being on the pill means that you will not have a natural menstrual cycle which is the whole basis for the practice of NFP, but it does not mean that you cannot learn the about a method of NFP. Basically, you can learn, you just won’t be able to practice. My fiancé and I took a natural family planning class which met for one evening a month for several months, and before it was over I had to start the pill for health reasons. The instructor was remarkably helpful with enabling us to not only finish the class, but also to learn about more resources for my condition. Understand your limitations. You will be able to learn a lot about NFP while on the pill, but you will not be able to get the same real-world charting experience as the other women with natural cycles. You can (and should) chart, but your chart will not be useful for tracking fertility, because the pill is suppressing your fertility. This could be frustrating but if you are determined and willing to do a little extra work, you should still be able to understand the material. Be straightforward. Tell your instructor at the earliest appropriate time that you are on the pill. That way she will be able to understand not only where you are coming from, but also to have realistic expectations when looking at your practice charts. Be open minded. This is a great time to learn about your body. NFP is centered on understanding and appreciating fertility–always a good thing. Even if you already know that NFP will not work for you right now, it is always possible that it will be exactly what you need in the future. Be creative. If you do not absolutely have to be on the pill, consider taking a break from it for a while. Sometimes amid all of the stress of preparing for marriage, you really need some space to think about yourself and reassess what you need. This includes all areas of health, and certainly your reproductive health. One option is to go to your first NFP class while still on the pill, and ask the instructor for a referral for a gynecologist who can help you come up with alternatives. Be respectful. And expect respect. No matter how stupid the requirements to get married in your chosen parish may seem, they exist for a reason. Sometimes the reason is that previous couples were stupid and ruined things for the rest of us. And sometimes the reason is that someone out there actually knows of something which could be really helpful for your marriage. Respect the process and the people who often have no more control over the rules than you do. Your NFP teacher will probably be a volunteer who genuinely wants to help you learn about something which has helped her. If for some reason you run into an exception, politely remove yourself from the situation and call your diocese for suggestions on alternate ways to learn NFP. Here’s to a happy and healthy marriage! Of course. And please let me know if you have some edits as I would like this to actually be useful (if possible). I’d add that (mainly for instructors, but also for students) to not expect an immediate transformation – be happy if the couple starts out slowly accepting this new practice. The information is new and often rather mind-blowing for so many of us brought up in the world of contraceptives. The Catechism tells us that “man’s response to God by faith must be free and … therefore nobody is to be forced to embrace that faith against his will”. Perhaps it’s true of our practices as well as our faith – the best we can do is give these couples the tools so that when they have their own, personal revelations they have the means necessary to live the way they are called. One of the best pieces of advice I had when discovering Catholicism was simply “Keep an open mind” – I did and it’s opened so many doors. Yes, I think some people expect overnight transformation from contraception to full marital chastity and openness to life. While there are stories of couples doing just that, this is not the norm for most people. It can be a gradual and slow process. Just like some people can quit smoking cold turkey, but most need a gradual process. Presenting the “instant and total conversion” as the norm discourages couples from even trying. Furthermore, this “all or nothing” attitude pressures couples into relying on the method before they are confident in it and can use it effectively. For us, the Catholic NFP promotional material came across as, “Oh, they just want us to outbreed the heathens. And if we don’t want to do that, then they want us to be just roommates.” We felt like the promoters were more interested in recruiting us to fight the “culture war” than in our marriage or in her health. No, thank you. NFP IS centered on understanding and appreciating fertility and it needs to be presented it as a positive and healthy option to couples. Being positive also means being honest and realistic. As someone who discovered NFP (and still learning and working on my transformation) because of Fertility Awareness I really appreciate your reply. Just encouraging couples to 1) get off or not start using hormonal/chemical contraceptives and 2) not have abortion related “backup” plans in case there was a surprise is a huge step forward in the overall mentality of the persons involved and a huge step in the right direction.